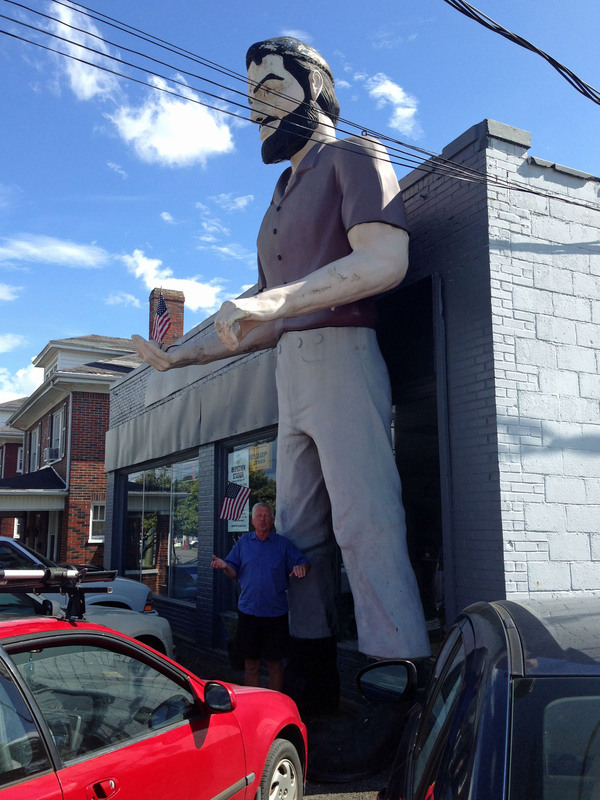 Glen’s Muffler Man – The Home of My "Big Things"
How could I pass up this opportunity for a Muffler Man in Roanoke, VA. Standing outside Glen’s Transmission & Automotive Repair he dominates the area. We stopped by and had an opportunity to speak with Glen. He loves the Muffler Man and told me it is included in sights to see in Roanoke. He is trying to find a way to have the Muffler Man hold a ‘trannie, that would make his day. Glen was a great sport and it was a pleasure to meet him.